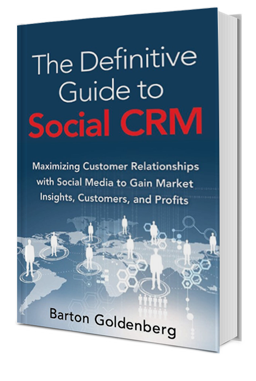 The Definitive Guide to Social CRM, one of three books by Barton Goldenberg, provides powerful new tools that will leverage this growing phenomenon. Social CRM is emerging as the next wave that will dramatically expand an organization’s customer relationships through an interplay of Social Media with CRM. It is expected to grow to a $9 billion global market by 2018. 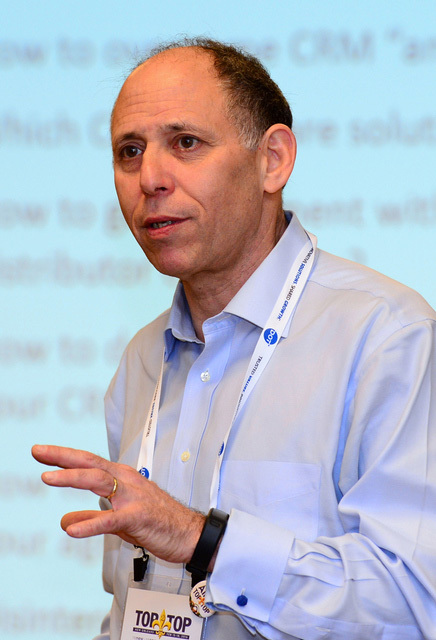 The most recent of three books by Barton Goldenberg, The Definitive Guide to Social CRM, published by Pearson, provides powerful new tools that will leverage this growing phenomenon. 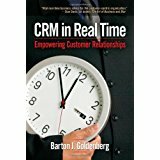 Leveraging Barton Goldenberg’s 30+ years of experience providing customer-centric strategic guidance to global, best-in-class companies, each chapter of The Definitive Guide to Social CRM contains advice and tips important to the growing Social CRM market. No other book in the marketplace provides such a comprehensive understanding of the Social CRM market phenomenon, along with a proven framework and methodology for achieving success in Social CRM initiatives. Based on decades of experience, this all-inclusive guide shows how to successfully implement Customer Relationship Management (CRM). Combining helpful tips with a unique blueprint, Barton illuminates critical issues involving people, process, and technology that impact any organization’s ability to achieve superior customer satisfaction and loyalty. From structuring a team and adjusting operations to addressing data integrity and security concerns, readers will learn to adapt to emerging marketplace demands, key technology innovations and the wireless world. This handy reference includes a glossary of CRM terms. 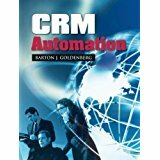 In CRM Automation, one of the world’s leading CRM experts delivers hands-on guidance for every phase of your CRM initiative: goal-setting, process review, vendor selection, implementation, rollout, support, and administration. Drawing on his experience with more than 300 enterprise deployments, Barton offers a start-to-finish implementation blueprint covering every customer-focused business function: marketing, sales, customer service, field support, and beyond.